A good friend is attending the 141st annual Kentucky Derby today and I was asked to make small memorable gifts for her to bring to friends attending as well. After much thought and research, we decided on these adorable floating charm lockets. Each contains 8 charms: A silver rose, an umbrella (or parasol), a silver horse, the numbers 141, a jockey riding a derby horse, and a silver horseshoe. Large clasps for easier use are on 20-24" silver plated chains. 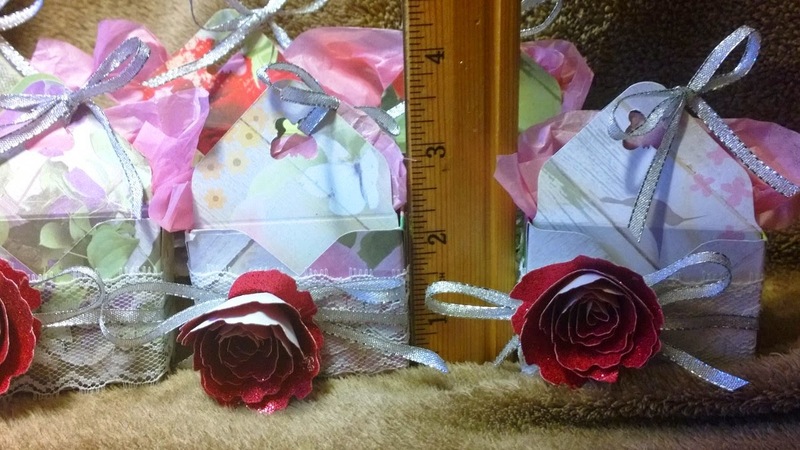 I used beautiful double sided papers with garden images to create each gift box. White lace, silver trim and a paper red glittery rose finished each one. 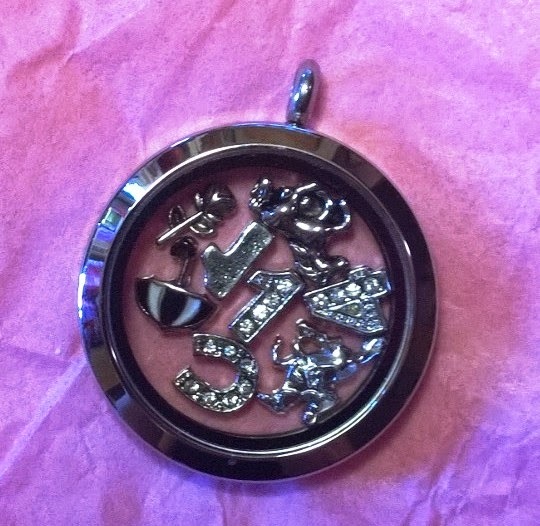 Each finished bag in a box was approximately 2.25" wide by 3.5" tall and held the locket charm necklace perfectly. For jewelry: Origami Owl (or similar brand) floating charms, lockets and silver hypoallergenic chains. 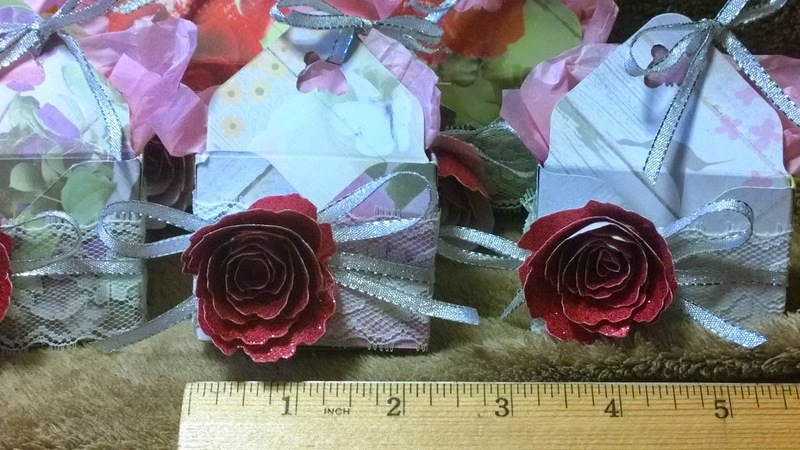 For gift boxes: Garden paper pix 12x12" paper pad by Paper House, Red glitter card stock, Spellbinders Blossom One die, 1/8" silver wired ribbon, white 1.5" lace, butterfly paper punch, We R Memory Keepers envelope punch board.